Passing a cabin crew assessment day is never easy. Are you prepared? Well done on getting an invite to an assessment day. 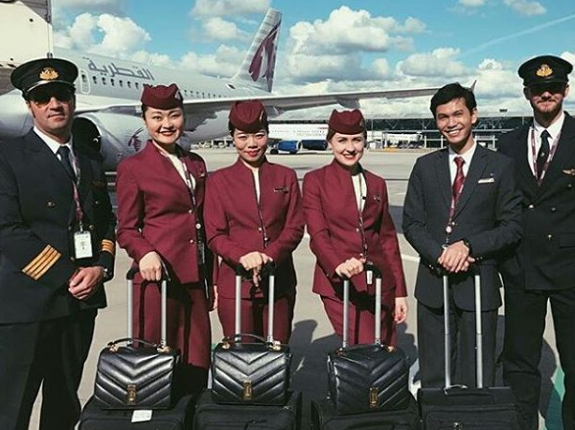 You are well on your way to becoming cabin crew. • You have been invited to an assessment day and you want to do everything you can to be successful. • You would love to actually see what goes on during an assessment day rather than simply reading about it. Believe it or not, your assessment day begins BEFORE you are expecting it to. Come and learn all the tricks these sneaky airlines use to assess you before the day even begins! Because, believe it or not, sometimes your assessment day can be over before it begins if they don’t like what they’re seeing! They will be watching you and our course will show you how to avoid this common trap! Assessment days often include a personal introduction. You’ll get to watch a couple of action. One good- yay, well done Olivia. And one not so good- still struggling to understand why Christopher felt the need to mention his dog?? More importantly, we will explain why Olivia’s introduction was so good and Christopher’s was somewhat lacking! Almost every airline will use a maths or numeracy test and so you know exactly what you are doing we'll give you the chance to take an official airline maths test. We'll then analyse your results and you'll then get the opportunity to improve on any weak areas that you have. Practice makes perfect (you'll get plenty practice) and we'll make you s maths whizz in no time! This course lets you see behind the scenes of an assessment day. Yes, really! Whilst all of the candidates are off having a break, you get to see what the recruiters are up to! You’ll get to see EXACTLY what they think of every single candidate and you get to hear the fate that awaits them. Next up, its English tests and again, the pass mark is 90%! We’ll give you a test and if you pass, well done you! If not, there is a whole session to help improve your English language skills including plurals, homophones, commas and apostrophes. We’ll have you passing your English test in no time! It’s final interview time! And, don’t be in any doubt, airlines will really put you under a LOT of pressure at this stage. If you get to this stage, airlines really do like the look of you, so they use this part of the day to make sure they are EXACTLY what they are looking for. They will have been watching you all day now and taking notes. They will have a good idea of where your strengths and weaknesses lie and they will now use this final interview to make that all-important decision. Next up are initiative and adversity questions such as “when have you made a bad decision”, “I’m not convinced about your suitability, convice me”, “Have you stretched the truth to gain a favorable outcome?” or “what makes you angry or impatient? Don’t worry- we’ll show you how to answer intimidating questions like these- in a way that will put a smile on the recruiter’s face! Then we’ll move on to customer focus questions such as “tell us about a time that you had to deal with an upset customer…. Solved a customer problem… had to say no to a customer”. Woah, these are difficult questions aren’t they? No worries, as we’ll show you how to impress! And then there are the tricky questions put in there to trip you up- “How would your enemies describe you”, “What makes you stand out from the crowd?”, “Rate yourself on a scale of 1 to 10” or “What is your greatest weakness?” – OMG, how are you supposed to answer those??? Worry not, as we will show you! There is a LOT that can be thrown at you in this final interview so you want to be PREPARED! This course can help you do this, by showing you the typical questions you may be asked (as well as some atypical ones!). More importantly, however, we can show you some really great answers to these questions. You’ve done so well to get to this stage and you should feel very proud of yourself. Unfortunately though, you still have a long way to go before you get those cabin crew wings! Airlines like what they have seen of you so far and want to find out lots more about you during the assessment day. These assessment days have been very well-thought through and are set-up specifically to put you under pressure and make sure you have the requisite skills they are looking for. To do this you need good maths skills. As the international language of aviation is English, you need to be fluent in this as well! They need to see that you have good conflict management skills and can remain calm under pressure. All of this, whilst being impeccable well-groomed! Woah, it’s a big ask and you can be sure your assessment day will be set-up to ensure each and every one of these skills will be tested. But we’ve got your back! We know exactly what these airlines are looking for and we know the ways they will test you. We’ve put everything we have learned into this course to make sure you are successful at your assessment day. Even better, many of the sessions include videos showing you what happens at an assessment day, so you get to watch it taking place, alongside us explaining why airlines use these techniques AND what they want to see from you. What could be better? What can I say? This course is AMAZING! I had made it to two final interviews and was so proud of myself until my rejection emails arrived! It’s like Pauline says, it’s all for nothing if you don’t get you job offer and you have to be successful at EVERY stage of the process. Looking back, I think I was pretty complacent about my final interview as I thought it was just pretty much a formality and they just wanted a quick chat with me, then I was good-to-go! How wrong was I? The last final interview I was at lasted more than an hour and I got a grilling! After completing the course, I could see why because my answers simply weren’t detailed enough. So, I practiced, practiced and then practiced some more! So glad I did, as I had practiced for every single question that came up in my final interview. And guess what? Thanks to the SAR technique, there was not one single follow-up question and I actually quite enjoyed my final interview- in a weird kind of way! Anyway, now out in Dubai, flying with Emirates and loving every minute! This course was a complete game-changer for me and hopefully it will be for you too. OMG- I found watching some of these videos painful as they were making exactly the same mistakes I had made in the past! Cringe! Thankfully, this course helped me realise the mistakes I was making and I made sure I didn’t make them in my last assessment day. 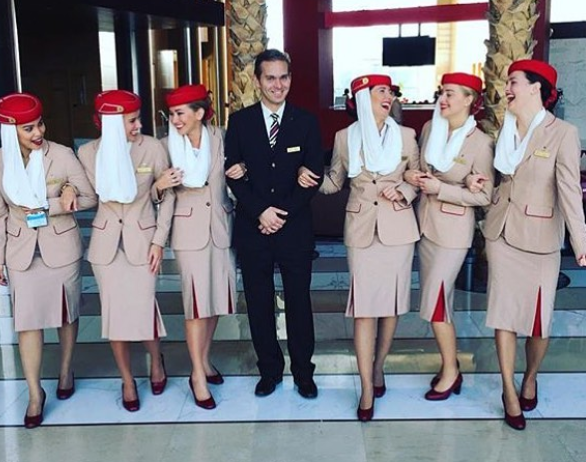 I certainly didn’t as I am now cabin crew with Qatar and enjoying my new life out here in Doha. There are so many different questions that can be thrown at you in your final interview and you have to be prepared for them all. After completing this course, I felt so well-prepared. 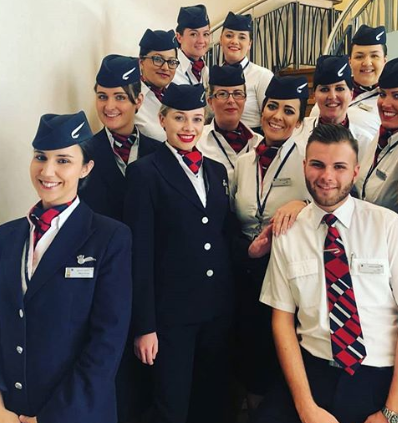 If being cabin crew really is your dream, then you should use this course- it’s so helpful. Brilliant course. I’d failed the last two assessment days I’d attended and was struggling to understand why as airlines don’t give you any feedback at all. After completing this course, I completely understood why. My behavior at the group stage was all wrong! 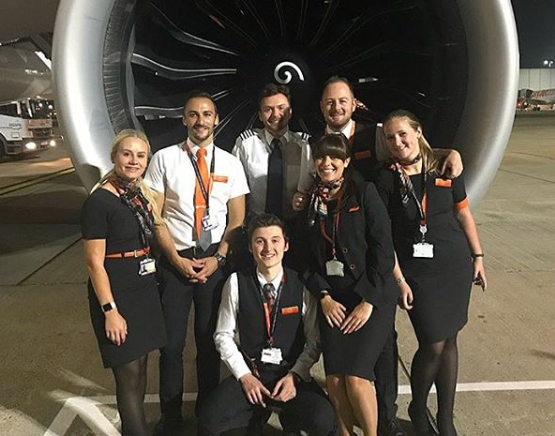 I had tried to take-over at the group stage as I had been told that the best thing to do was to show the airline that you were very assertive and could take control of any situation. Turns out this was BAD advice and I now understand why! Guess what? I used this course, learned loads and was successful at my last British Airways assessment day! I now have my wings and am loving my new job. If I hadn’t bought this course I totally believe that I would still be attending assessment days dominating group activities trying to be “assertive” and failing miserably in my mission to become cabin crew! So, thanks Pauline and Kenny for your wonderful course!